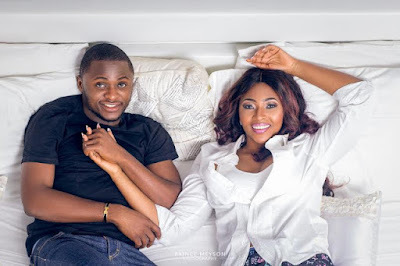 Yesterday November 1 2016 marked Lilian Esoro and Ubi Franklin‘s 1 year anniversary. A year ago they got married in Lagos, amidst family and industry colleagues. The Made Men Music mogul wished Lilian a happy anniversary today, and thanked her for being a God-fearing, lovely wife and great mother to their baby. However, so far, Lilian has not reciprocated his message, which has led to many tongues wagging. She has been present on social media, and posted a group photo with her sisters and friends. 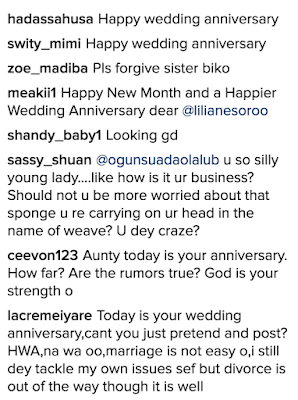 Fans are all over her Instagram page asking if anything is amiss, as they wished her happy anniversary and she hasn’t replied them, but has responded to other messages. 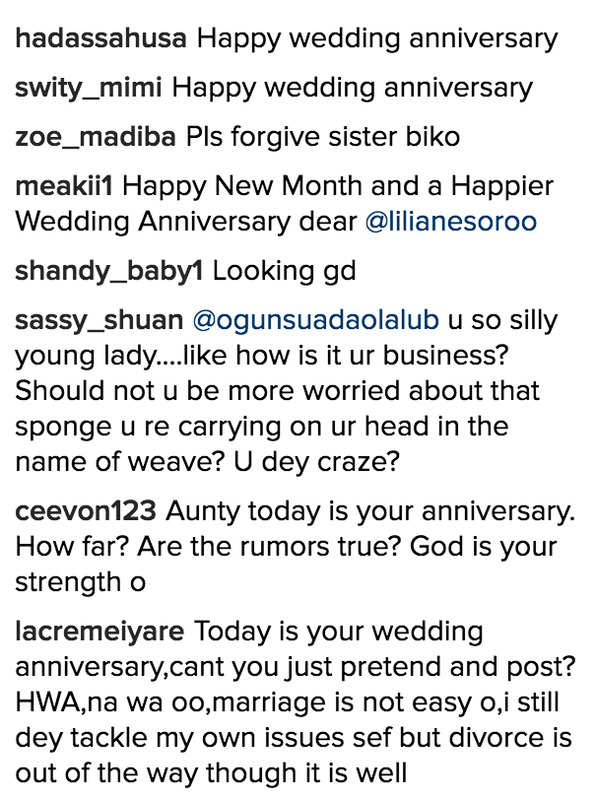 Many have said she should have just pretended and posted something to congratulate her husband on the grand opening of Tilt Lounge – click here for official photos with Annie Idibia, Blossom Chukwujekwu and more, and also their anniversary.